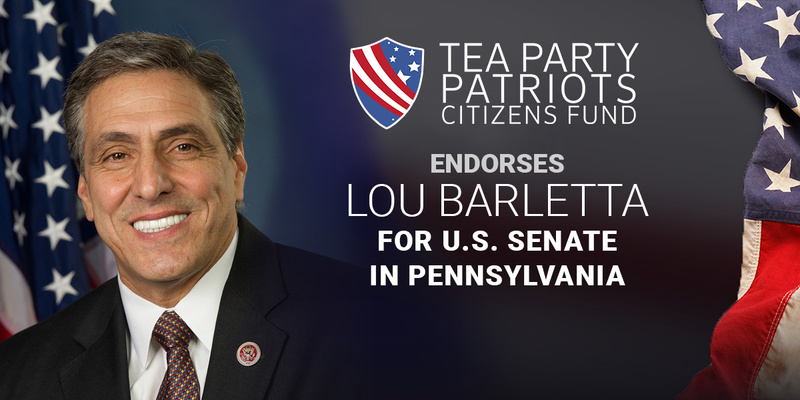 “Conservatives in Pennsylvania have a clear choice in the contest for the U.S. Senate – Lou Barletta. “Lou won President Trump’s endorsement because the president knows Lou will fight to enact the Trump legislative agenda – stronger border security and an end to illegal immigration, strong support for the Second Amendment, lower taxes and less regulation. Lou was one of the first Members of Congress to publicly endorse Donald Trump for president, and he co-chaired Trump’s Pennsylvania campaign. The President knows he can count on Lou to help him drain the swamp. “Unlike his opponent, Lou is one of the leaders in the fight to end illegal immigration. He has introduced legislation to defund sanctuary cities, make overstaying a visa a criminal offense, and add a two percent fee on wire transfers sent south of the border to provide funds for construction of a border wall. “Unlike his opponent, he will vote to confirm the people President Trump nominates to the Supreme Court and other federal courts. The willingness to confirm President Trump’s conservative judicial nominees is one of the most important issues to our supporters when considering whether or not to support a candidate for the Senate.